Antifonals are liturgical books used in the Catholic ritual of the Canonic Hours, containing the sung part of the liturgy. 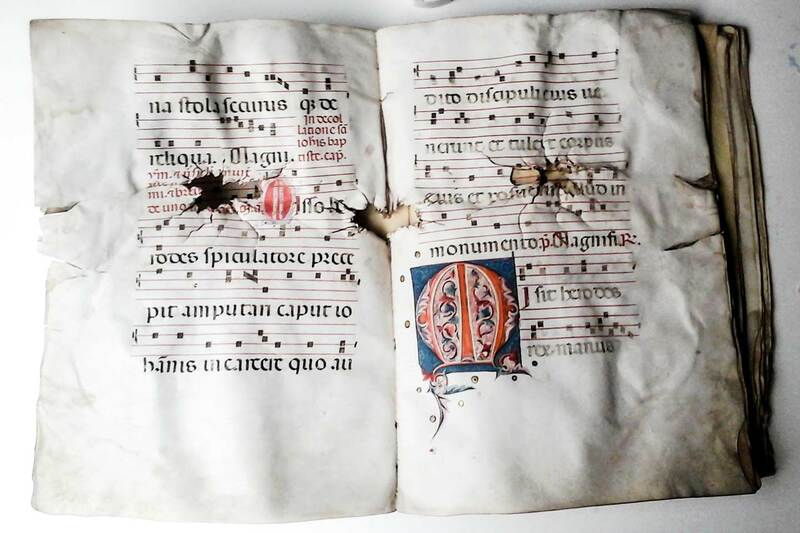 Those exhibited here are made using very high quality parchment and were found under the ruins of the church of S. Sisto after the 1944 bombings. Originally there were are a large number of miniatures on capital letters at the beginning of each section, that were recently removed. The Gothic script used in the ecclesiastic world is usually referred to as “corale”.